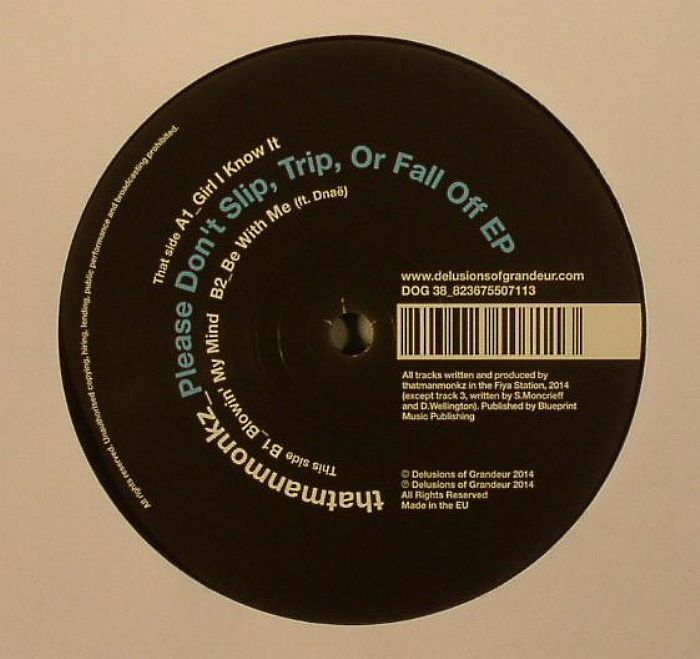 THATMANMONKZ Please Don t Slip Trip Or Fall Off vinyl at Juno Records. 1. "Girl I Know It"
Who said filtered, chugging house was dead? 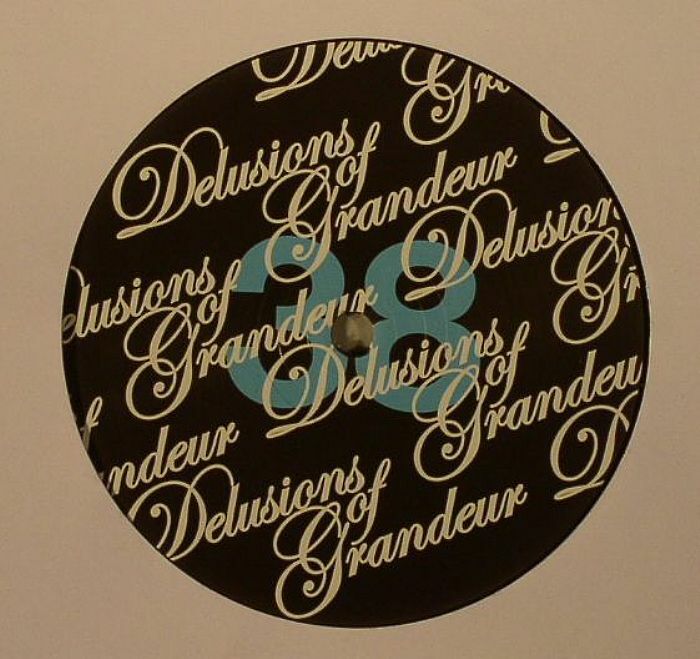 Certainly not Delusions Of Grandeur, long-time proponents of delivering sweaty dancefloor heat. 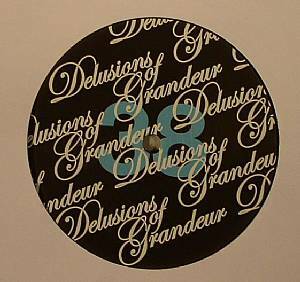 Following the Burnin' Up 12" for Shadeleaf last year, ThatmanMonkz's second release provides dubstep heaviness made to fit a deep house, jazz and disco influenced mould. With its tribal drums and deep vocals "Girl I Know It" is an attention grabbing A-side, while the B1, "Blowin' My Mind", has some of the best Rhodes you could hope for in a house production (never mind those thick claps and damp beats). "Be With Me" then hits up the jazz tip with gorgeous Lauryn Hill sounding vocals. Big tip on this one.